When a novice French diplomat arrives for an audience with the Emperor, he is enraptured by the Joseon Dynasty's magnificent culture, then at its zenith. But all fades away when he sees Yi Jin perform the delicate traditional Dance of the Spring Oriole. Though well aware that women of the court belong to the palace, the young diplomat confesses his love to the Emperor, and gains permission for Yi Jin to accompany him back to France. A world away in Belle Epoque Paris, Yi Jin lives a free, independent life, away from the gilded cage of the court, and begins translating and publishing Joseon literature into French with another Korean student. But even in this new world, great sorrow awaits her. Yi Jin's grieving and suffering is only amplified by homesickness and a longing for her oldest friend. But her homecoming was not a happy one. Betrayal, jealousy, and intrigue abound, culminating with the tragic assassination of the last Joseon empress--and the poisoned pages of a book. 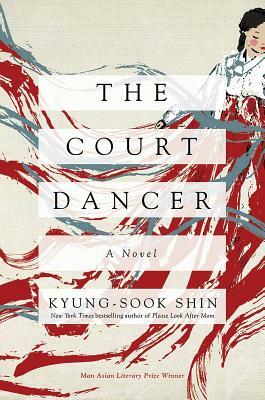 Rich with historic detail and filled with luminous characters, Korea's most beloved novelist brings a lost era to life in a story that will resonate long after the final page.